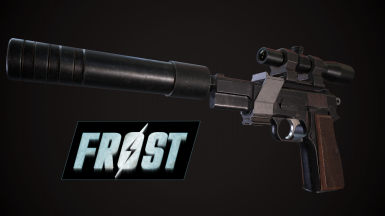 As the title says, this should make the 9mm Pistol follow FROST's gameplay changes. Love realistic firearms such as the amazing 9mm Pistol (Browning Hi-Power)﻿? I've got another patch for you, my friend. Unfortunately, most add-on weapons are too over powered for the harsh wildness of Naugrim's FROST Survival Overhaul. Even though basically any weapon will kill most people with a hit or two. The 9mm Pistol was a kill 99.3% of the time with a single shot. Make sure you remember to Endorse our generous modding community!